Fall is the time for pumpkin spice lattes, scarves, and chilly weather. 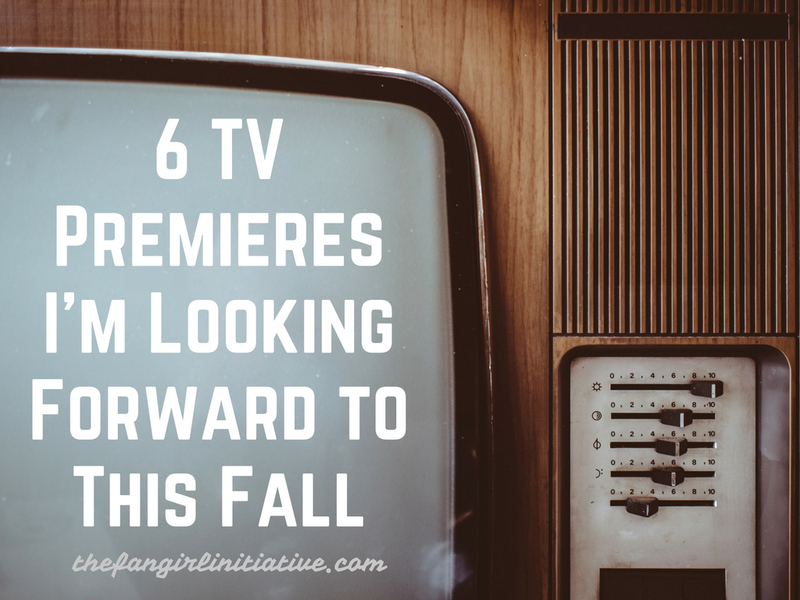 It's also the time for fall season premieres! From old favorites to new contenders, here's what I'm looking forward to seeing this upcoming television season. This is probably a no-brainer since I post about AOS a lot on TFI, but I'm really looking forward to seeing the newest adventures of our favorite S.H.I.E.L.D. agents. Things are pretty messy with Daisy Johnson on the run and a new director in play. We also get Ghost Rider this season! Whatever happens, I'm sure we're in for one wild ride! As you've probably heard, TWD ended last season with a massive and absolutely gut-wrenching cliffhanger, and we're all pretty anxious to find out what happened. It's been an agonizing wait, and I honestly cannot tell you what will happen when TWD returns to our television screens this fall. Speaking of cliffhangers... um, Jane the Virgin, anyone? Last season was one of the craziest yet with more plot twists than you can imagine, and the season finale was no different. There's the fate of one character that has me particularly worried. Dear [spoiler redacted], please be okay... please? While technically not airing on primetime television, Luke Cage still deserves my excitement, and I'm more than happy to give it! Ever since the Comic Con trailers, I've been pumped to get to know our favorite unbreakable man even better. Simply put, Luke Cage is kickass, and I expect nothing less from his Netflix show. I'm pumped! This show is one I've been looking forward to since I saw the previews. It revolves around a team sent to stop a time-traveling criminal. Sounds amazing, right? Anything involving time travel is fine by me, and it's also got a very Captain-America-esque vibe in my opinion. I can't wait to see where this show will take us! Designated Survivor revolves around a crisis with the President of the United States and his staff. I heard about it through Italia Ricci's social media. She plays a member of the President's staff. The rest of the cast is star-studded too, with Kal Penn, Maggie Q, and Keifer Sutherland all holding major roles. Political shows are appealing to me, especially when the stakes are high like they are here. Designated Survivor is one show I can't wait to see. What are your most anticipated television premieres this fall?